When Thierry Breton, chief executive of Atos, said the IT services company would ban use of internal email by 2014, it caused a sensation across the media, with commentators describing the idea as either "brave", "stupid" or doomed to failure. But in fact, a number of companies have been quietly moving away from using email as the primary way of communicating within the company. The ability to track email is increasingly becoming a turn-off. Anecdotal evidence suggests that in an age of heightened regulation, bankers are eschewing email in favour of less traceable forms of communicatons, such as hand-written notes. Whether or not James Murdoch, executive chairman of News Internatinal, read a crucial email revealing the extent of phone hacking at the business has become a key issue at the Leveson inquiry into press standards, and government officials have shied away from using internal email for communications on sensitive subjects, as these can be made public through Freedom of Information Act. However, for many companies, it is simply that email is seen as inefficient. "We believe email is fundamentally unproductive, you need to sift through too many documents and things get lost," says Leerom Segal, president and chief executive of Klick, a Canadian digital marketing company. "It has no prioritisation, no workflow, and assumes that the most important item is the one at the top. My business partner became so frustrated with how dumb email was, that 14 years ago he began to build better tools for us to manage workflow." Klick, which has over 200 staff, now uses email only to communicate with external clients, while internally all messages go through Genome, its self-designed system which enables users to monitor tasks in a workflow. The programme works so well that Klick is now receiving inquiries from clients interested in installing the system in their own offices. The company has 10 employees working full-time on developing the network. "When we started this, we never thought it could completely replace email," says Mr Segal. We thought it would be used for specific tasks requiring a response. But before you know it, it was being used for every task." Other companies have opted for social networking tools such as Yammer to replace some of the function of email. For example, Capgemini, the IT services company, says it has reduced its internal email traffic by 40 per cent in the 18 months since staff began using Yammer. About 20 per cent of companies are estimated to have experimented with using social networks to connect employees. The appeal of social networking over email is that it puts people in control of the information they see. Rather than material flooding unasked into the inbox, employees can subscribe to just the social networking groups and topics they are interested in, and read the information at a time of their choosing. 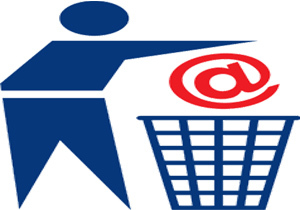 Other companies, while not necessarily looking to replace email, are looking for ways to lessen its use. Intel, for example, has experimented with "no-email Fridays" encouraging engineers to solve problems by phone or face to face instead. Indeed, email has become a symbol of stress for employees, according to a a paper published earlier this year in Organisation Science, an academic journal of management. "Most companies are grappling with email overload," says Monica Seely, an email management expert at Mesmo, a consultancy, and author of Brilliant Email. "Companies are losing up to 20 days per person per year, dealing with email poorly." Mr Breton estimates that managers at Atos spend between five and 25 hours a week dealing with email. Ms Seely says most people receive over 100 emails per day, and feel pressure to answer these quickly. Studies have shown that a quarter of people expect answers to their emails within an hour, with a third expecting a response within two hours. It is impossible to meet these demands. "We live in an instant gratification society where we expect a response immediately. People at the receiving end feel like they need to constantly check email," she says. Andy Mulholland, chief technology officer at Capgemini, says email works poorly for people working in unstructured roles, such as engineers solving IT problems. "Someone asks you a question you don't know the answer to, so you send out emails to everyone you know. Out of 20 people, 19 have their time wasted and the 20th gives you half an answer," he explains. Social networking, in this case, can give faster and better answers. He cites a recent example where an engineer had an unusual problem with some Unix code. He posted the question on Yammer, and within two hours had an answer from someone in the company he didn't know, in a department of the business he barely knew existed. The company also gains useful feedback from people who vent their frustrations about company systems or products via the internal network. There may be cost-savings to be realised as well. Mr Mulholland says that as workers were increasingly reading their emails on mobile devices with expensive data charges, reducing the volume of email could cut costs. But, he admits, Capgemini had not calculated these, and the motivation for moving away from email was more to do with saving time than money. Mr Segal believes doing away with email has been fundamental to Klick's growth. "Our financial growth as an organisation is proof that this works. Since 1997 we have been growing at 30 per cent profitability, and we attribute a lot of that to our system. It allows us to be more responsive and clients notice that," he said. He admits, however, that it isn't easy to shift away from email. He says it can be initially hard for new employees to get used to the system, with some taking months to start fully using the system. Aditya Johri, assistant professor at Virginia Tech, who has studied companies using alternatives to email, says the trend is still more prevalent among technology businesses and smaller companies. Ms Seely also warns that social media tools will not, in themselves, solve the problems of overload and time management. There is a risk that adding new types of communication will simply add to the burden. "We haven't come to grips with managing email and now we are trying to add social media," she says. "When you do that you are multiplying the communications channels, and now you are really into information overload, having to monitor paper, emails, instant messaging and Facebook." She suggests that the first step may still be to learn how to better managing their email. Klick, Atos and Capgemini all still use email for communicating with people outside the company, and most believe that email will continue to exist in some form for many years to come. "In three to five years we will see a more pluralistic landscape with messages being transferred to some kind of social media platform," Ms Seely said. "But email will remain a bedrock of businesses for some time to come."